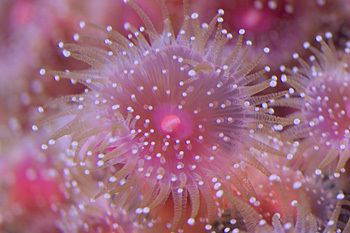 Every since my first visit to a public aquarium as a kid, I’ve been fascinated with strawberry anemones (corynactis sp.). 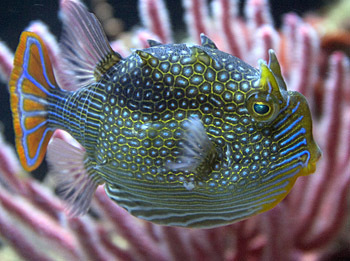 It were those colorful, coldwater critters that first got me interested in keeping a saltwater reef in the first place. Unfortunately, a coldwater system and the associated livestock was out of reach in those days….so, the dream had to be placed on the back burner…..simmering…..but, never dying. In 2000, I finally got around to scratching another item off the “to do” list….getting my dive certification. Once I completed my open water certification in Puget Sound, that back burner dream was again moved forward. Although, I wasn’t quite ready to set up a coldwater system, I could see the possibilities will every dive. 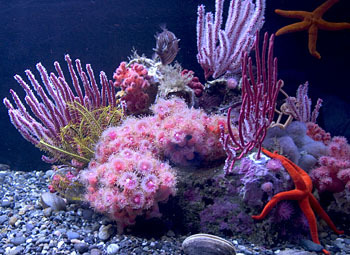 In 2004, with my warm water reef developing nicely, I decided to begin experimenting with a coldwater system. The water temperature in the Pacific Northwest usually hovers around 50 F – 60 F. It can get colder.….but seldom warmer…..so, my target water temperature was going to be 55 F. I really didn’t want to construct an elaborate display; but rather, a small play tank or two to test the viability of running a coldwater system. If successful, I could then, one day, construct a true display. I decided to convert my warm water tank’s refugium…..which wasn’t of much value to my warm water reef anyway..…into a coldwater tank. I also had a small space available to the right of that refugium for a second small tank if desired. I had enough room in my warm water reef’s equipment closet to support two small coldwater tanks. The first one was the old refugium which was constructed from 1” thick acrylic and measured 60” x 24” x 24”…..or 150 gals. I had a second tank and sump constructed…..also from 1” thick acrylic….. to fit in the small space to the right of the bigger tank. The second tank measures 36” x 24” x 28”…..or about 100 gals. The sump fits in a small space located under the two coldwater tanks and would serve both tanks. I chose 1” thick acrylic after seeing another coldwater tank that a diving buddy had in his home. 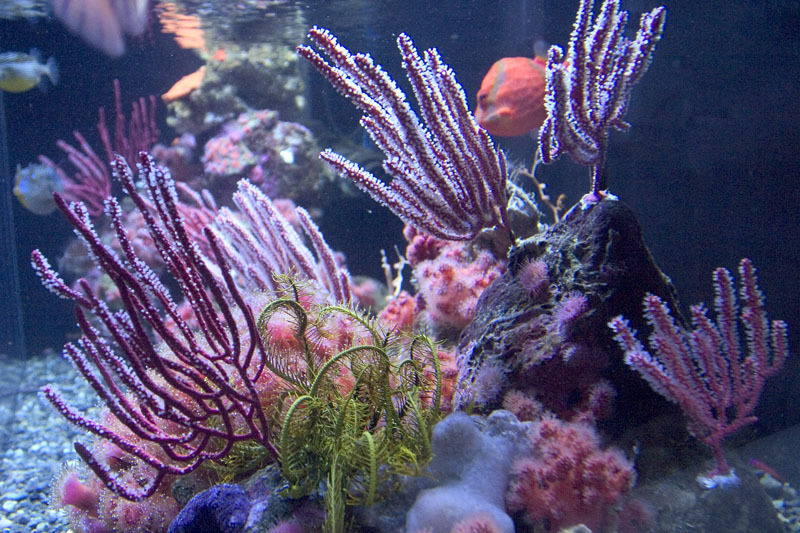 His tank was a standard 60 gal tank made from ½” thick acrylic. He experienced fogging on the acrylic when his room temperature was above 80 F and full sweating above 90 F. I wished to completely eliminate all fogging and sweating and thought that 1” thick acrylic would do the trick. In the three years that these tanks have been running, they have yet to sweat a drop even during 100 degree days. 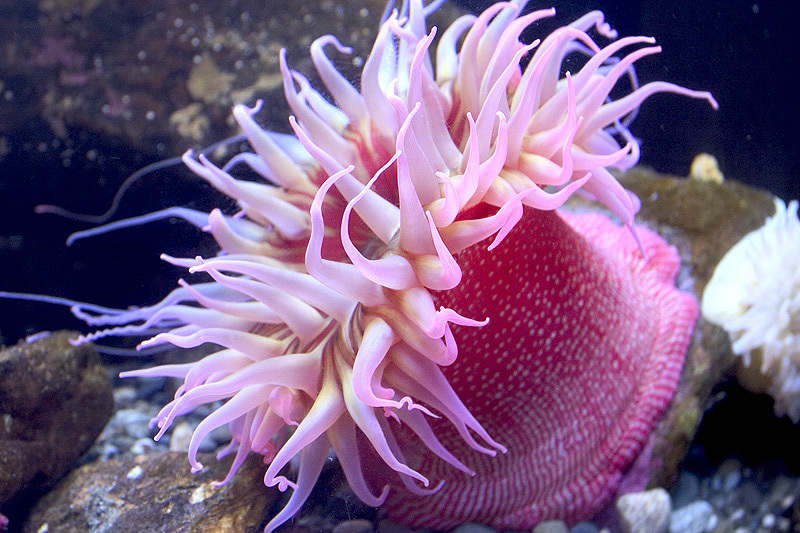 Some folks have asked “why two tanks ?” Well, the answer is…..I like the large fish eating anemones that are native to the Pacific Northwest…..and while the anemones think that it would be a good idea for them to be housed in a tank full of fish, the fish think otherwise. 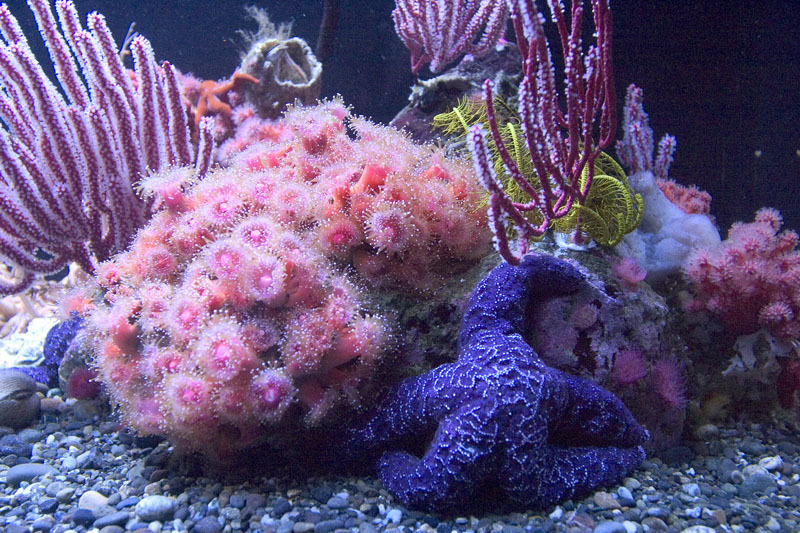 I was planning on drawing upon my warm reef experience to construct an effective filtration system; but, a Puget Sound biotope at 55 F necessitated a few changes. The lower water temperature meant that biological processes would move much slower. I didn’t want to cycle the coldwater system with liverock and risk losing interesting hitchhiking life……so; I cycled the empty tanks using heavy amounts of ammonia chloride. For bacterial sites, I had a wet switch back chamber built into my sump that I could fill with bioballs. I expected that biological processes would move slower in colder water; but, it took 5 months to cycle the system! This system is very simple. It’s just two tanks that drain down to a common sump. The water flows through a switch back filled with bioballs….. then water is pumped back up to the two tanks. In the sump, there is enough space for a skimmer, a carbon reactor, and a foam block placed over the pump’s intake to provide for some mechanical filtration. Since most of the critters being kept are non- photosynthetic, feedings are quite heavy…..and.....as a result, the skimmer needs to be efficient. I’m currently using a Deltec ap701 skimmer. I wanted these two tanks to be somewhat representative of Puget Sound. This meant my using native rock and substrate..... not the typical warm water calcium based liverock. The native rock and substrate is granite and is so dense that no real filtration value can come from them. Even with a powerful skimmer, nitrates build rapidly in these heavily fed systems. Water changes are a must. I perform a 50% water change monthly…..but, I also employ a sulfur denitrator to help keep nitrate levels from exceeding the 25ppm level. Also located in the sump is a Deltec FR 509 phosphate reactor that contains both GFO and carbon. Since everything is non-photosynthetic, the lighting requirements are really just for the viewer’s pleasure. I employ a six bulb T5 fixture over each tank..…but, unless I’m photographing critters, I only use two lights from each fixture to illuminate the tanks for ten hours a day. An actinic/10K bulb combination is used in each fixture…..and bulbs are only replaced when they burn out. 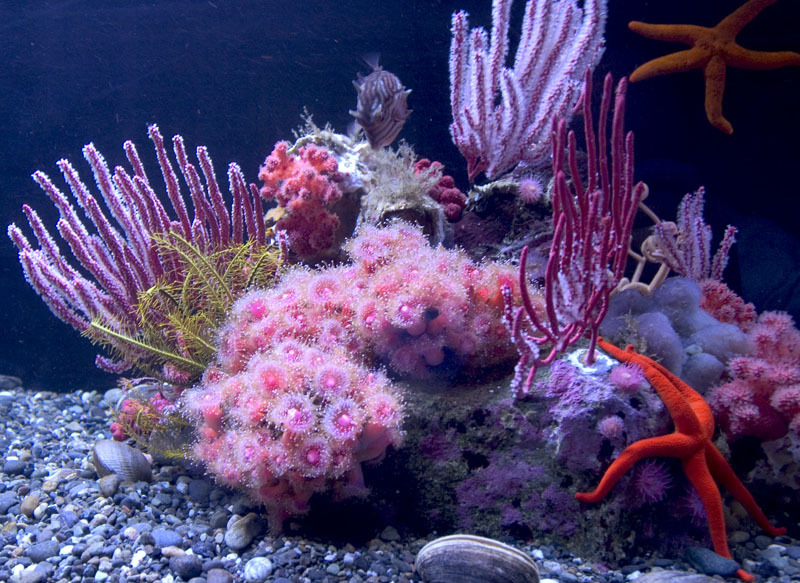 These tanks are really more akin to a fish only system than a reef system…..so, the equipment requirements are more basic. Feeding is extremely important in these systems. I feed a combination of Cyclop-eeze, mysis, clam, scallop, silversides, krill, oyster eggs, and rotifers. I feed on a daily basis…..but, I target a different need each day. 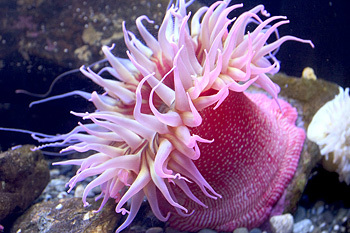 For example, I feed the large anemones three times a week, the fish every other day, the strawberry anemones every other day, and the filter feeders every three days. A typical feeding amount would be a 1” cube of Cyclop-eeze for the strawberry anemones, 10 small bay scallops for the large anemones, a teaspoon of frozen oyster eggs for the filter feeders, and a 1” cube of mysis for the fish. I also keep several predatory starfish that feed primarily on bi-valves. Rather than my feeding the starfish individually, I place a dozen or more live clams purchased inexpensively from the local fish market into the tank and let the starfish find them themselves. My 3 bi-valve eating starfish take about two months to go through a dozen small clams. I also bring home live plankton from dives in Puget Sound during spring and summer. Maintenance on these tanks is really easy. Because of the minimal lighting, algae growth is near zero. I wipe the glass twice a month, and occasionally need to brush the rock in spots. I change the carbon, GFO and perform a 50% water change monthly. I rinse out the foam block in the sump weekly. That’s it…..there really isn’t much to it. In the beginning, I had a notion that I wanted to grow kelp. So, I brought home a few kelp plants, placed them in my small tank, and turned all six bulbs on. I figured that the kelp would provide an interesting look, a hitching post for my seahorses, and provide some nutrient export…..WOW..…was I wrong. Although the kelp grew strong and had to be pruned frequently, the additional light needed by the kelp also allowed nuisance algae to run rampant. The maintenance increased dramatically and I found myself wiping the glass daily…..while algae soon began to dominate all the life in the nutrient rich, well lit tank. Needless to say, after about six months of experimenting with kelp, I pulled the kelp…..went back to minimal lighting…..and everything was right with the world again. I should really have known better. During all my dives, the first ten feet is usually choked with nothing but algae. The good stuff can’t compete with the algae. Running a cold system is really akin to running a fish only system.....in that a lot of waste needs to be handled…..but, minimal lighting and reactors are needed. Yes, you need a thicker acrylic tank…..and yes, you need a chiller…..however, you do not need calcium reactors, heaters, high flow, or metal halides. 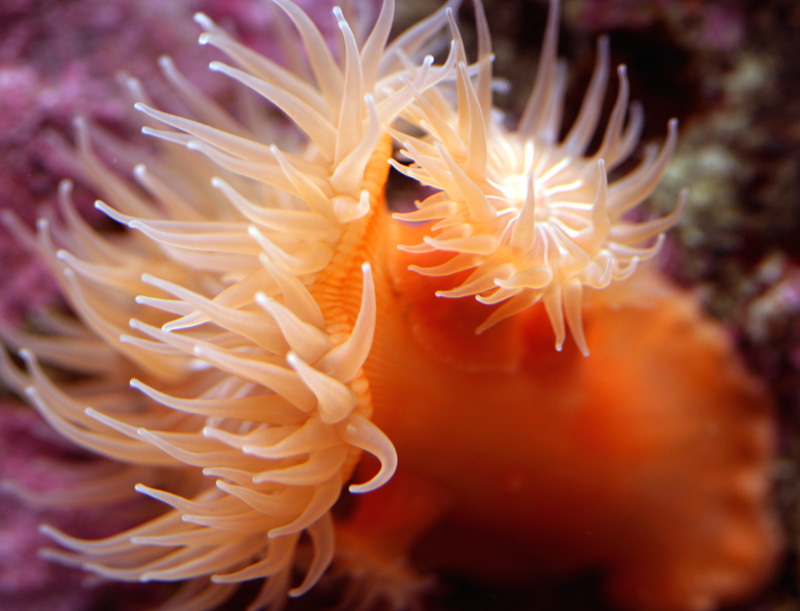 The cost of running a cold tank is less than running an SPS reef, about equal to running an LPS reef, and a little more than running a fish only tank. For those who think that they can run this type of system employing “natural” filtration methods (e.g. no skimmer and nutrient export through a refugium), you’re sorely mistaken. These tanks have huge nutrient inputs..…and consequently, need huge mechanical nutrient exports to be successful. There are a few other differences that I’ve found over time too. 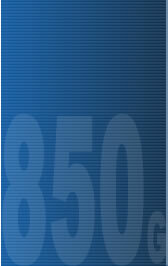 Remember to use schedule 80 plumbing. I used schedule 40 for my minimal plumbing…..and although it seldom sweats, there are a few hot days during the year where I do get some condensation on my piping. On these days, I just run a fan over the few exposed pipes to curtail the sweating. One day, I’ll replace the schedule 40 with schedule 80…..but since I’m lazy, today isn’t the day. Another difference is in evaporation and pH. Without all the lighting and circulation, evaporation is very small. 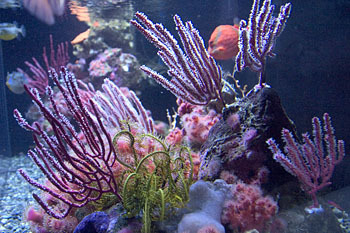 A typical reef the size of my coldwater system might evaporate 4 or 5 gallons a day…..my coldwater reef evaporates about 1 gallon a week. Also, since little photosynthesis is occurring, the pH never really changes much throughout the day…..in fact; a low pH is a common coldwater tank problem. I make sure to keep an eye on my alkalinity and top off the meager evaporation with kalkwasser. With this, the pH stays consistently above 8.0. At this point, I should also make mention of disease. I have noticed none of the common fish diseases that often plague a warm water reef…..I don’t know if it is the temperature or the livestock…..but; fish disease is a rarity. There is one exception though; I‘ve spoken to others who have experienced a rapidly progressing white fungus that quickly takes the infected fish down in the matter of a few days. Some have reported success with quick treatments of Melafix and Primafix….but; I have no personal experience in this area. The single impediment to the proliferation of coldwater tanks is the inability to obtain livestock. There are no domestic coldwater suppliers and only a few international suppliers. I figure that it’s a chicken and egg type of situation. There are no coldwater suppliers because no one has a coldwater tank…..and…..there are no coldwater tanks because there are no suppliers of livestock. Unless you’re near a source of coldwater livestock….. like the Northwest or Northeast….. you’re kind of out of luck. However, there are a few coldwater critters that do come through warm water livestock suppliers (e.g. Catalina gobies, waratah anemones, margarita snails, some Australian boxfish). Until there is more of a demand for coldwater livestock, the only options are to collect yourself, buy the few coldwater critters that come through warm water channels, or import directly from Australia. I’ve done all these options. My system is mostly a Puget Sound biotope…..but..…there are a few Australian items as well..…mostly the fish. Here’s a somewhat complete livestock list for my system.